I've been listening to the music of Pat Metheny for over 30 years. What initially struck me was the sound of his guitar, his remarkable technique as a musician and his highly energized band. Inspired, I went to his concerts and sought out interviews, articles and videos of which he was a part. 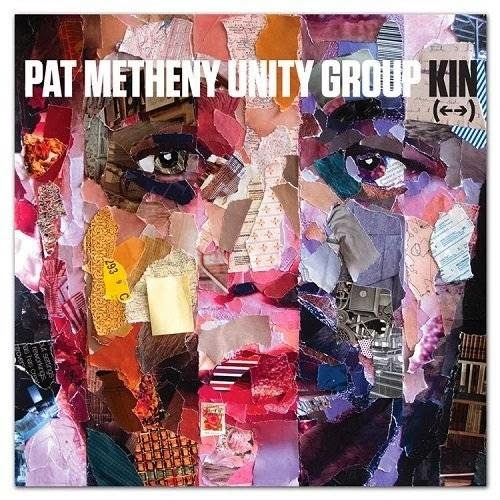 Today Metheny continues to be a personal favourite of mine and I've had the privilege to hear his music evolve since the release of the band’s 1978 self-titled release, Pat Metheny Group. (ECM). Lyle Mays, the Group’s long time keyboard-player, whose lyricism often complemented the highly skilled guitarist, always balanced Metheny’s rhythm-based work. Their approach was always fresh to the ear and made for a melodic blend. From 1978 to 2005, the Metheny/Mays compositions dominated the contemporary jazz charts and pushed the boundaries of the music to places even they probably never expected. Their high energy works are juxtaposed with the quietest of ballad writing, reaching audiences around the world who were impressed by the shear skill of reproducing their often complex works in performance. By 2005, with the release of The Way Up (Nonesuch) the Metheny/Mays collaboration came to a quiet end. Metheny was now branching out on his own, looking to hone his skills as a composer and writing for a new group simply called, the Unity Band. I reviewed that strong debut album a couple of years ago. The follow up is simply entitled Kin (Nonesuch) featuring the same line-up: Metheny, guitar, Chris Potter, reeds, Ben Williams, bass and Antonio Sanchez, drums. The addition of Giulio Carmassi, piano, trumpet and a slew of other instruments, has reconfigured the band as the Unity Group. Carmassi has written film scores and established himself in music circles as a multi-instrumentalist, with competency on trumpet, alto saxophone, vibes, cello, clarinet, flute and French horn, no less. All of his abilities are put to work on the new record, except his talent as a composer. 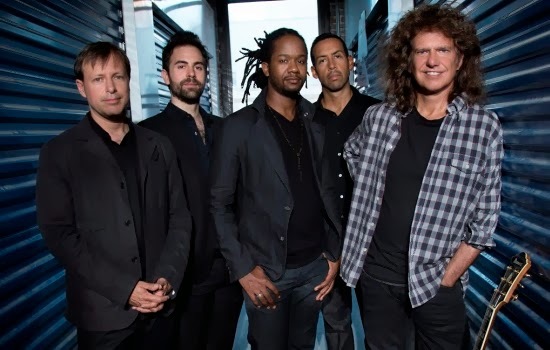 Kin features nine new tracks all written and arranged by Pat Metheny. It was recorded last June in New York and released February 4th. The playing is fine, extraordinary in some cases, but unfortunately dull for the first five cuts. While Antonio Sanchez drives the record, and Metheny seems to have freed up the drummer to play an exciting brand of music, the compositions offer nothing new. The opening pieces seamlessly offer one musical idea after another, and the band seems to be in harmony with those ideas, but the journey itself is forgettable. Technique is all over these tracks as each player builds up a fierce energy of emotion. But the music ends up being an exercise in technique that leaves me cold. The tracks are indistinguishable and simply move from loud and fast to quiet and slow and back again. And although these dramatic musical shifts are common to Metheny’s work, on this record, he seems to be repeating himself. But once we get to track six, and a remarkable composition called “Born,” all of the turmoil of the opening pieces gets washed away. It’s like the sun breaking out after a thunderstorm; the air calms down, the dampness lifts and solar heat begins to warm the earth. "Born" bears repeated listening because it is simpler: Carmassi plays fewer notes of what can be considered a melody, supported by Metheny and the heavy-handed playing of Antonio Sanchez. It all works because this is a tune with a focus; a gospel-like composition on a par with Metheny’s best ballads, such as “Always and Forever” from his superb solo record, Secret Story, released in 1992. The album concludes with 3 more satisfying tracks that could be construed as a suite: “Genealogy,” “We Go On” and “Kqu.” This final part of the record bears little resemblance to how it starts, and 60 minutes later, we get some very interesting turns of phrase and time signatures. These are the cuts worthy for their rich, lyrical ideas. Metheny’s composing skills have always reflected his incredible technique as a guitarist which is why the first half of this album might appeal to musicians. But when sophisticated technique overruns accessible melody, it’s too much to bear, which ultimately leaves me disappointed with Kin.